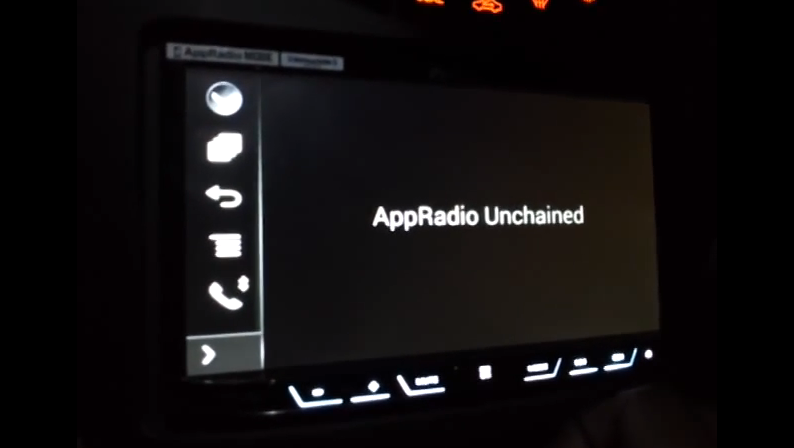 AppRadio Unchained or ARU is an open source tweak for Android devices that gives users full touch control of their smartphones from a compatible Pioneer head unit. The tweak should technically work with Pioneer's latest NEX receivers that support AppRadio Mode. And here's a user video that proves that. This YouTube video is from user "M Sylvester" and shows his rooted Samsung Galaxy Note 3 connected to the Pioneer AVH-4000NEX with the ARUnchained app. More details about ARU can be obtained from here. Pioneer AVH-4000NEX is the lowest priced NEX head unit. The product is a part of Pioneer's 2014 line and has formidable features. It is one of the best entry-level head units giving you robust features for the price you pay. Apple CarPlay will be available on all NEX head units at some time this summer via a firmware update for Pioneer. I'm using the exact same setup he is except my Note 3 is a Verizon version. I've tried everything I can think of to get my radio and phone to talk to each other - no luck at all. One connection error after another. HDMI only works, but that's it. I'm almost ready to throw in the towel on this part of the radio. Too bad.